Our New Product Introduction, NPI, engineers enjoy the challenge of custom designs from time to time. Recently, they were tasked with producing an automatic inspection system for injection molded parts. The parts to be inspected are used for a medical application, so our engineers were tasked with designing and building a system that could precisely identify nonconforming parts. To do so, we needed an accurate and precise enough vision system to asses these small injected parts. Thus, we decided on the Keyence Vision System. How Did PEKO Come About Using this Product? PEKO had worked with Keyence prior so we already had a relationship with the company from a previous purchase. Also, our customer we built the inspection stand for had also worked with Keyence in the past so the company seemed to be a good fit for this specific project. Another deciding factor for the Keyence systems was that we needed a 3D vision system with only one camera. Other competing systems would have required us to add additional cameras in order to receive the image we needed for inspection, which would not have been compatible to fit into the entire system. What are Some Benefits We have Seen? What are Some of the Shortfalls of this Equipment? The Keyence system, with the controller and camera head, is expensive. However, the price is worth the investment if used in the correct application. Since we absolutely needed the precision, we found the price to be worth its value. Even still, the price for these systems from the competitors of Keyence are comparable. As far as accurate vision systems go, Keyence is in a relative ballpark price. How Well Does it Work and How is the Usability? This system proved to work extremely well in the application we used it in, and we would not have been able complete the automated inspection stand without it. 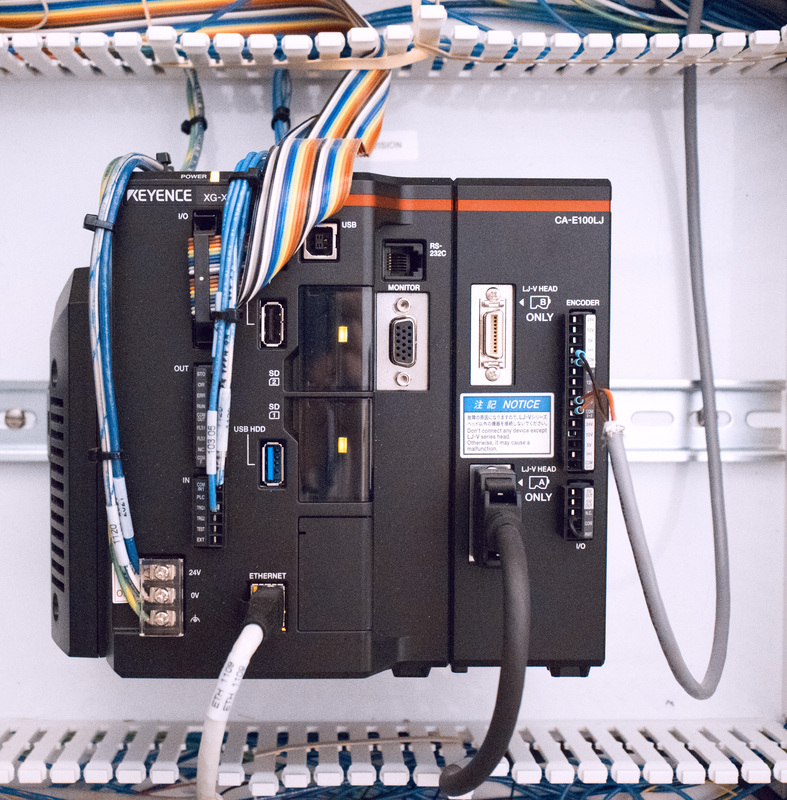 The Keyence interface also proved to be easy to learn and only took our NPI engineers a short time to master. PEKO engineers enjoyed the usability of the interface compared to some of the competitors. The Keyence interface iss a simple flow chart while some of the competition's interfaces are more modeled towards complex tree branch systems. The Keyence proved to be a more robust system overall. Keyence also offered a lot of support to our engineers as they implemented the system into the inspection stand. They sent employees out while we integrated the system and were even able to suggest to us the proper profile head so we could capture the image we were looking for. We were at a bit of a disadvantage from the beginning, since the inspection stand needed to have the capability to capture dark, and reflective parts. However, with the help and support received from Keyence our engineers were able to complete a successful build. What were Some Alternatives We Could have Pursued? We looked into both Cognix and ChromoSense systems while looking for vision systems. However, the competing options weren't able to capture the precise, accurate imaging we needed to inspect the medical parts in this application. The Keyence was also able to handle a wider-range of applications, and the interface was more user friendly than the other options. Overall, the Keyence was the best fit for this specific application. 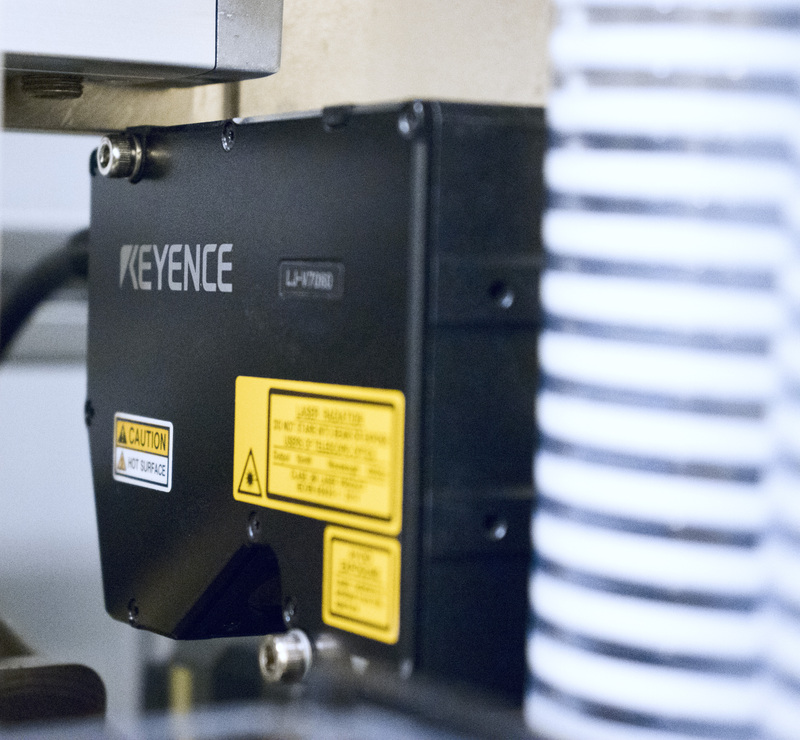 If you're looking for a vision system to be as a precise as something needed to inspect hard to image parts with strict quality guidelines, like the Medical Industry, then we recommend the Keyence vision system. It is costly, but you're going to get what you pay for. © 2019 PEKO Precision | PEKO Precision Products, Inc.